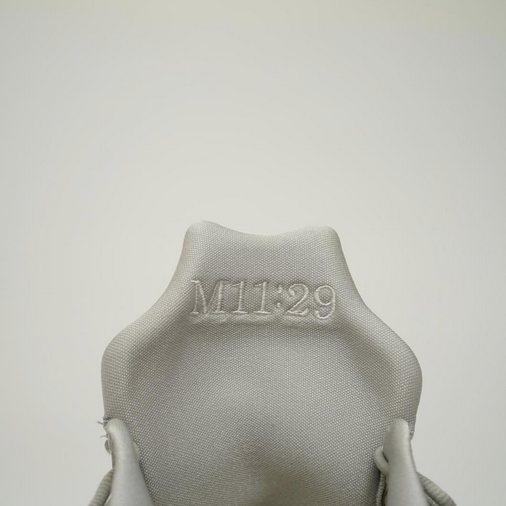 The best thing about having a shoe deal is the countless designs and colorways that you can have put together for yourself, without worry of release. 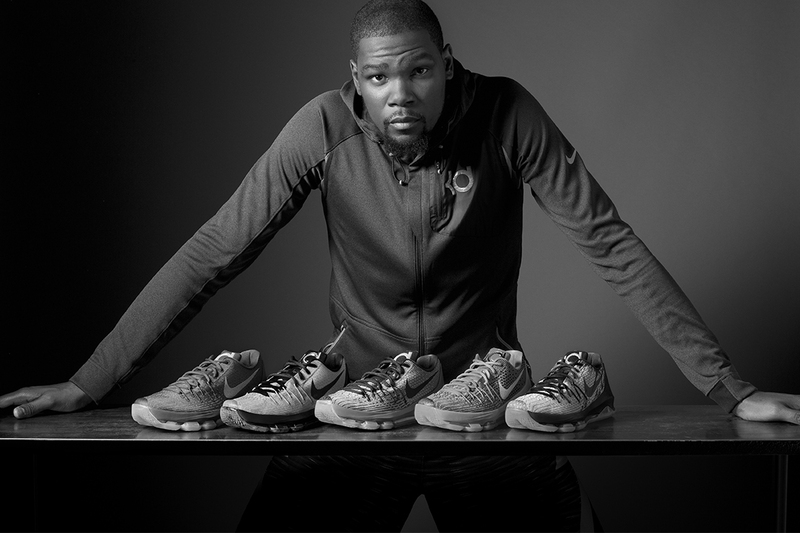 Kevin Durant took to his Instagram account to today to show us a few unreleased pairs of the Nike KD 7 and KD 8. 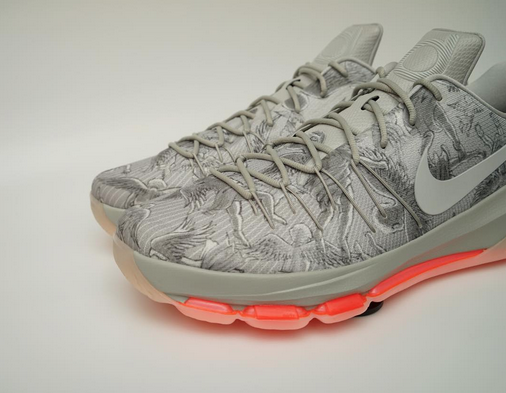 First KD showed us a grey and orange pair that has an angelic print all over the upper and a bible reference on the insoles and the back of the tongue. 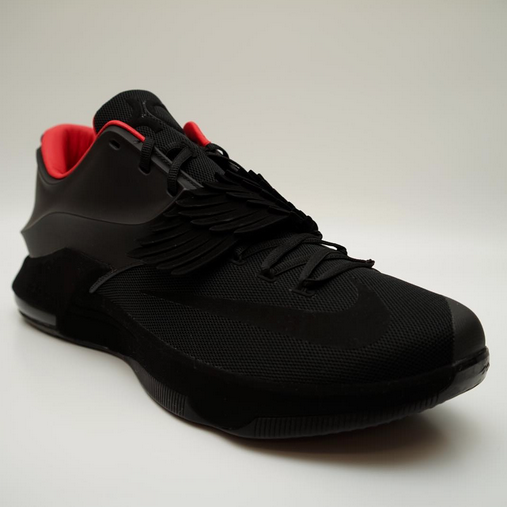 Next we got a look at a matte black “Aunt Pearl” colorway of the KD 7 that was probably a sample that never made it to fruition. 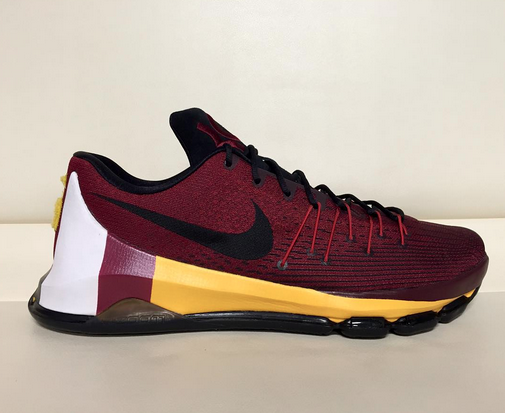 And lastly he hit us with a Washington Redskins-inspired KD 8 that you can probably make yourself on NIKEiD.